Corporate Governance is the work done by a company's board of directors acting collegially. Good corporate governance is critical to a country's global competitiveness and has been shown to have a direct correlation with corporate profitability and growth. Government and regulators require it. Companies of all sizes need it. Good corporate governance protects and balances all stakeholder interests, strengthens business relationships, increases access to external financing, and leads to better operational performance. It is through good governance that sustained returns and increased value can be delivered to the shareholders of a business, which in turn can help attract investment. Good corporate governance is about doing what's right, and doing it well. ICD is a member of the Global Network of Director Institutes (GNDI). It has established relations with key foreign entities involved in corporate governance such as the Organisation for Economic Co-operation and Development (OECD), the Asian Development Bank, the International Finance Corporation and the ASEAN Capital Markets Forum. ICD offers corporate governance learning solutions specifically for board members and key executives. Through customized in-depth lectures, case studies and structured learning experiences facilitated by faculty recognized for their expertise, ICD’s seminars aim to professionalize the practice of corporate directorship – helping directors make the leap from compliance to performance. ICD is the only entity in the Philippines accredited as a corporate governance training body by the Securities and Exchange Commission, the Insurance Commission, Bangko Sentral ng Pilipinas and the Governance Commission for Government-Owned or -Controlled Corporations. ICD also organizes good governance fora and recognition events, the most recent of which are the ASEAN Corporate Governance Conference and Awards and the 2016 Investors’ Forum. With the wealth of board directorship experience of its Teaching Fellows and facilitators, ICD can optimize boards’ performance to deliver maximum value for a company’s stakeholders. ICD’s board services team provides companies with the necessary tools to implement the principles of good governance and strategy execution. These interventions bridge learning from the corporate governance courses, the sharing of standards of the Corporate Governance Scorecard, and the practices, strategies and tactics implemented within the organization. StEP is a two-part program that helps organizations improve in both strategy design and systematic execution. Companies are assisted to revitalize their Vision, Mission and Core Values, and to develop their own Strategy Map and Balanced Scorecard. This comes with coaching on the alignment, discipline, and engagement for sustained performance results. ICD assists companies in building a professional board along with a working outline on specific board duties and expectations as a collegial body, as working committees, and as individual board members. ICD can recommend qualified and professionally-trained directors for companies seeking viable candidates to fill board vacancies from its pool of over 300 Fellows and Graduate Members. ICD offers third party assessment of the Board’s effectiveness based on the structure, processes, strategy role, and overall performance. be recommended by ICD to corporate boards (subject to the fit between professional qualifications and requirements of the corporation). 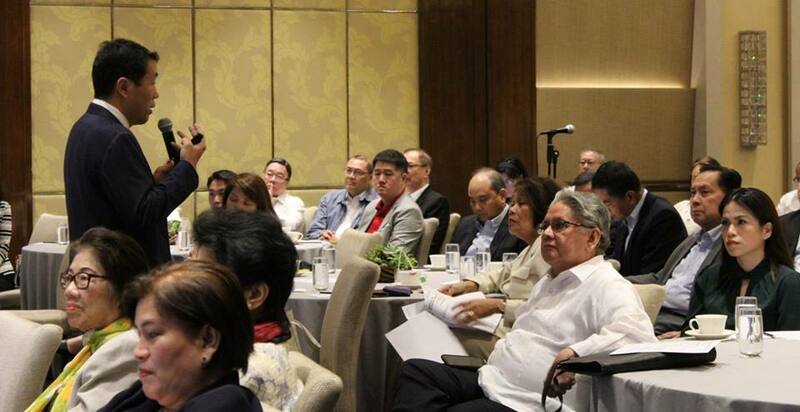 The Institute of Corporate Directors (ICD) is a non-stock, not-for-profit organization dedicated to professionalizing corporate directorship and raising the corporate governance standards of the Philippines. 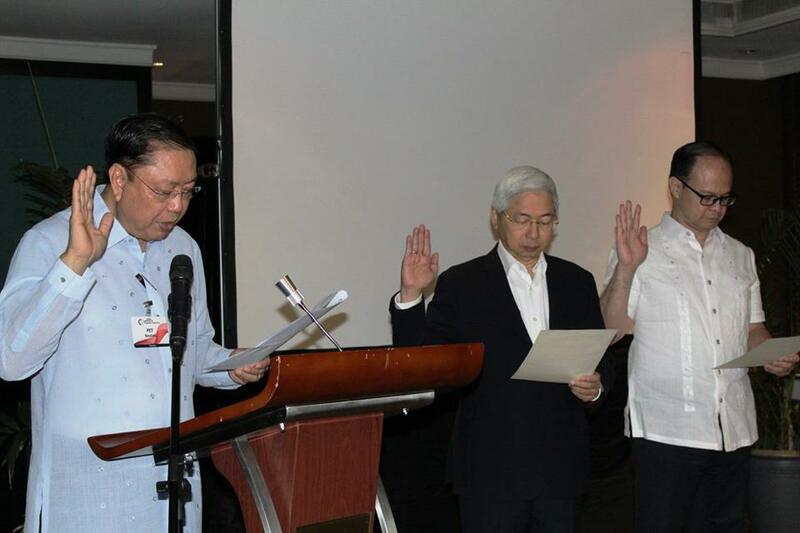 The institute was established in 1999 by Chairman Emeritus Dr. Jesus P. Estanislao in the aftermath of the Asian financial crisis, to establish and promote higher corporate governance standards in the Philippines. ICD is part of the Centers for Excellence in Governance (CEG). ICD will promote the advocacy of good governance in the corporate sector. By 2024, ICD, an institute made up of committed Fellows championing positive change in the corporate governance ecosystem for inclusive development, will be one of the leading institutes of directors in Asia. OPAL PORTFOLIO INVESTMENTS (SPV-AMC), INC.
ATTY. PEDRO H. MANIEGO, JR.
UP ENGINEERING RESEARCH AND DEVELOPMENT FOUNDATION INC.